Sturgeon County. Room to Grow. 22,000 Acres Available for Industrial Development. 480,000 Acres of Total Farm Area. Sturgeon County. Prosperity through Partnership. Sturgeon County, Alberta is named after the Sturgeon River, a major tributary of the North Saskatchewan River. 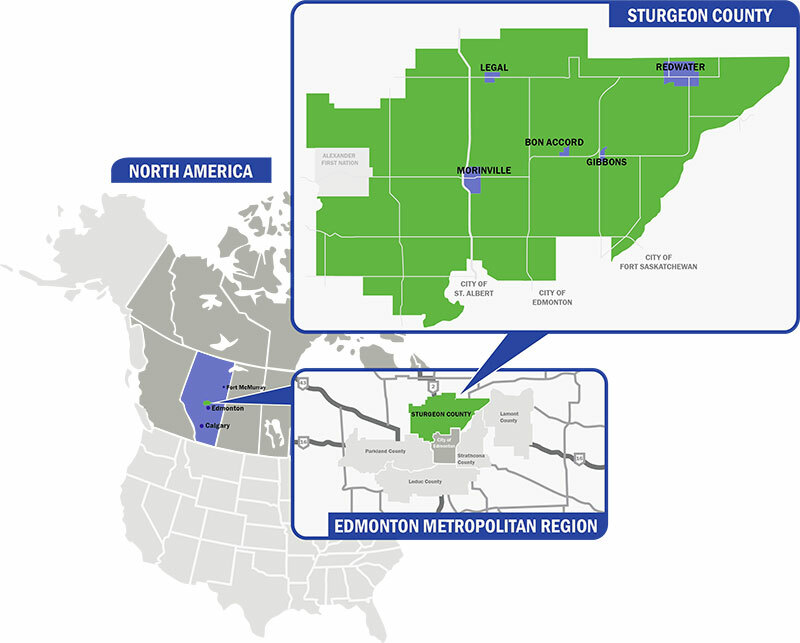 Our County is the northern extension of the Edmonton Metropolitan Region, the second fastest growing region in Canada.